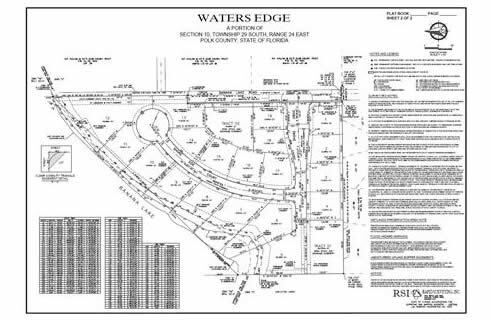 Subdivision Plats are legal instruments intended to take a parcel of land and divide it into smaller parcels of land. These types of surveys must meet certain state regulations, county zoning regulations, local ordinances and other land use regulations and are recorded as part of the public records of that county. The final plat becomes, in effect, a contract between the developer and the city or county, determining what can be built on the property and under what conditions. In the creation of a subdivision plat a Boundary Survey of the parcel to be subdivided will be required. Rapid Surveying has experience in working with the local agencies to meet their guidelines and the review process for this type of survey.